In a world of speed and clock-watching, the bathroom has a very special role as a haven of peace, and is increasingly becoming a place of experience. Exclusivity and luxury convey a new quality and refine everyday life. Innovative, environmentally appropriate technologies, and high-tech manufacturing methods enable Kaldewei designers to set new visual standards in design. With a pioneering spirit and a feeling for style, the concepts of ergonomics become practical design variety. Because it is only when every single detail is right that something big can occur. People have always sought to combine function and pleasure. Kaldewei design studios have adopted this principle, and specifically avoid short-lived fads and fashions. They also pay close attention to ergonomic concepts when designing new products, as well as creating clear, plain structures that result in bathrooms where the bath is the focal point, and the user is able to escape from daily life and find absolute relaxation. They believe in focusing on the essentials, consistent purity in form and material results in a contemporary individualism and formal understatement. Kaldewei believes that your bathroom should be as individual as you are. Which is why they have over 300 designs in its product range that appeal for the variety of shapes and design competence. 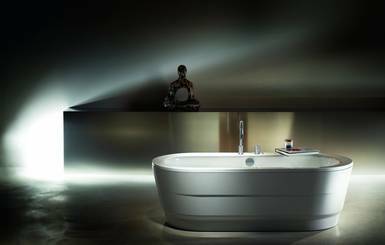 Whether you prefer exclusive, modern or classic design, you will most definitely find your dream bath in their segments: Avant-garde, Ambient and Advantage. They also have a wide range of additions for all variants to add the perfect finishing touches. In today’s world, the fusion of the living area and bathroom is a symbol of luxurious living. 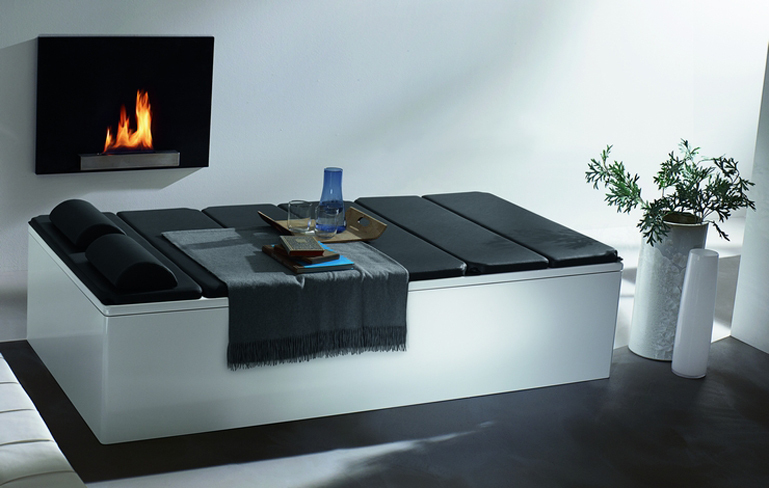 Let Kaldewei help you make your bathroom into the modern safe-haven you have been wishing for. Let the designs in their collections inspire you and turn your own ideas of design and aesthetics into reality. Kaldewei shines when it comes to the special touches, so for your individual requirements and your own personal bathroom dream, they are a must see! To view all of Kaldewei’s collections of shower and bath products, as well as any of your bathroom or kitchen needs, visit Ibathtile.com. This entry was posted in Bath tubs, contemporary, Faucets, Kaldewei, luxury, modern, sensual, spa and tagged Bathroom, design, designers, dream bathroom, environmentally friendly, ergonomics, iBathTile, Kaldewei, luxury, relaxing by iBathTile. Bookmark the permalink.